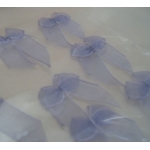 Pack of Lovely Organza Ribbon Bows, Self Adhesive. 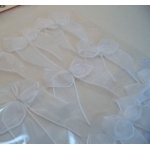 Just super for card making, or co-ordinating all your wedding stationery with favours etc. No fiddly tying bows, nice uniform shape & size. 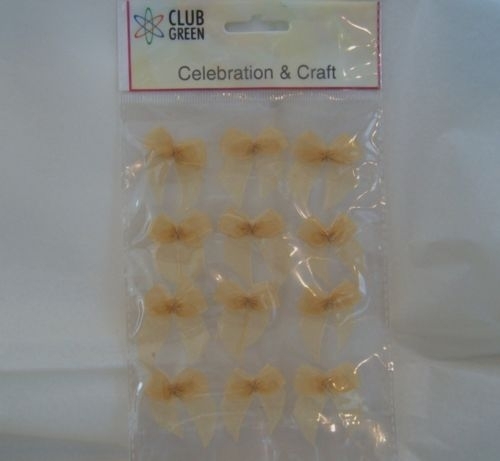 These are a SOFT YELLOWY GOLD, they are not metallic. 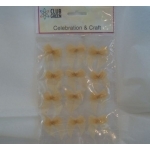 12 bows per pack. 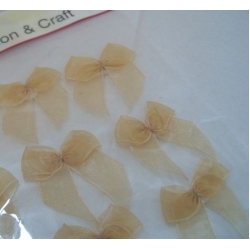 Average overall size of each bow 30mm x 35mm (between 1" and 1.5" average length).